Dee Williams from PAD Tiny Houses with her tiny house on wheels. BSLL: Why are you excited to be a part of Build Small Live Large? Joan: PAD participated in a session about tiny houses in the first Build Small Live Large Summit in 2012, and Dee and I thought it was one of the most exciting events we had been to in a long time. There were hundreds of designers and builders talking about the value of building small, and describing the environmental and economic benefits in very concrete ways that and inspired and motivated people to action. For example, the event convinced my partner and I that we wanted to build an ADU in our own house. There’s this great energy when you’re with hundreds of people who are fired up about creating real alternatives to super-sized, single-family homes. People are realizing that when your home fits you and reflects your values, you’re freer to live your life how you want to. PAD is about helping people build the life they dream, and that’s why we wanted to be involved in organizing the 2015 Summit. 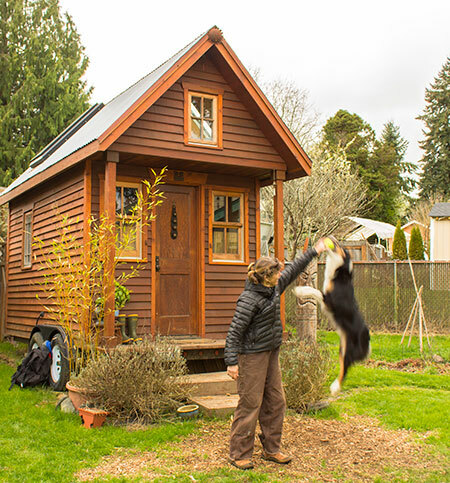 Most people who know about PAD have heard Dee’s story or seen her tiny house, but PAD’s mission has never been to make everyone live in a tiny house on wheels. Our mission is to help people imagine and create a home that fits the life they want to live, which means something different to everyone. 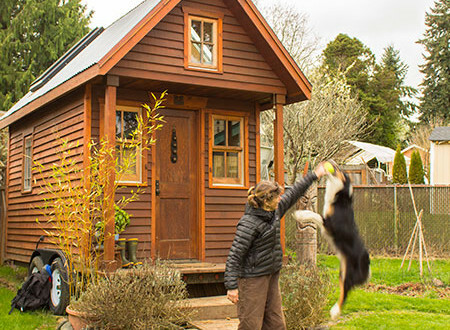 We know that tiny houses on wheels are just one tool in the toolbox. 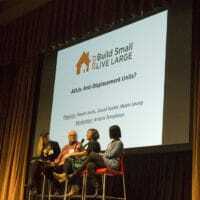 The Build Small Live Large Summit is where small home experts and novices are coming together and putting all the available tools on the table to share them. 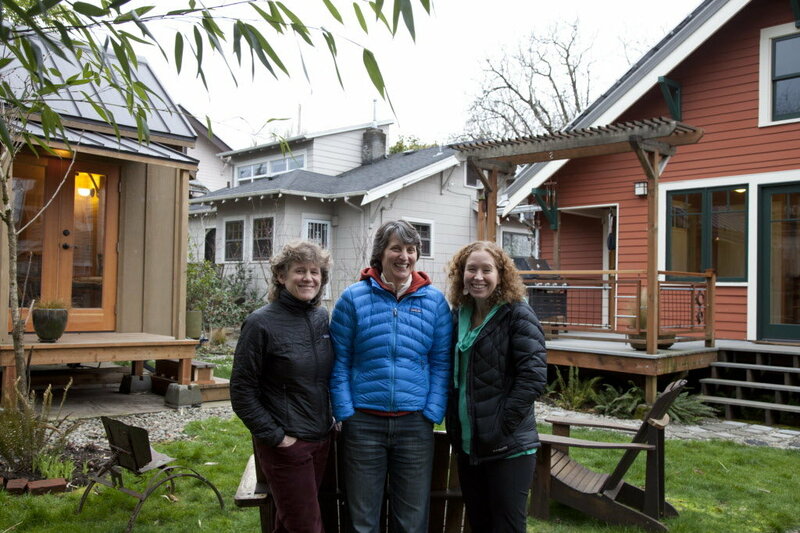 How do you build an accessory dwelling on your property? How are people creating pocket communities in traditional neighborhoods just like yours? How do people design small spaces that still feel luxurious and homey? That’s what the Summit is all about and we think that is awesome! Grimm, at left, in her backyard pocket community. 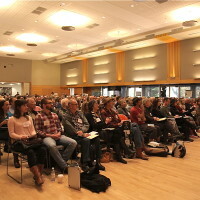 What particular projects or work of yours do you think would interest the conference audience most? Our two-day Tiny House Basics weekend workshop on designing and building a tiny house on wheels gets rave reviews from our attendees, and we really think it’s the best workshop on the topic offered anywhere in the country. 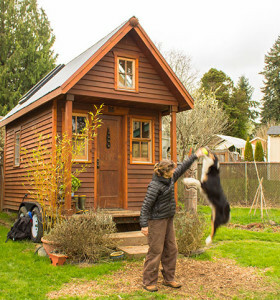 Building a tiny house is not simple construction – it’s more like building a giant, intricate, multi-purpose cabinet that you both live in and drive down the highway. There’s very little room for error. Anyone seriously considering living in, designing, or building a tiny house should take this workshop. Our attendees get the rare and valuable experiences of learning from people who have designed and built tiny homes for themselves and others, getting advice on their specific questions and tiny house designs, and touring six tiny homes at the Caravan Tiny House Hotel. Dee Williams showing workshop attendees her tiny house layout. Build Small Live Large is about sharing resources and successes. What small home trend, project, book or resource do you think more people ought to know about? I am a big fan of the Sightline Institute, a non-profit that researches best practices for public policy to create a sustainable Northwest. 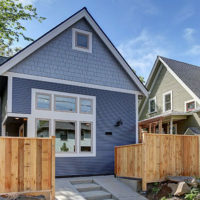 Alan Durning, their Executive Director and a keynote speaker for Build Small Live Large, has been writing lately about his involvement with Seattle’s Housing Affordability and Livability (HALA) committee. HALA recently published a report with 65 recommendations for how to promote affordable housing, and the mayor of Seattle responded by outlining a path to reach his goal of 50,000 new homes, including 20,000 new homes for low- and moderate-income people, over the next decade. Alan outlines some viable pathways to achieving affordability while enhancing livability at the same time, which is what Build Small Live Large is all about. His blog posts on the work of this group are great reading if you are concerned about housing affordability and want to know how small housing fits in. Who’s Using Tiny Houses to Aid Homeless Populations?